This is a strong algaecide that works on contact. It is safe for your fish and frogs. 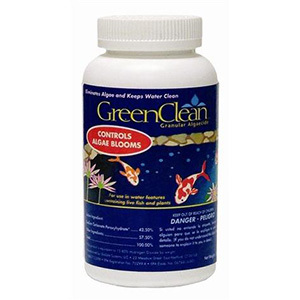 Do not apply Green Clean directly to pond snails or tadpoles. Turn pump off when using product.